The Race for Work is now available around the world on Amazon website. Get your copy here. You know that amazon hosts millions of books. 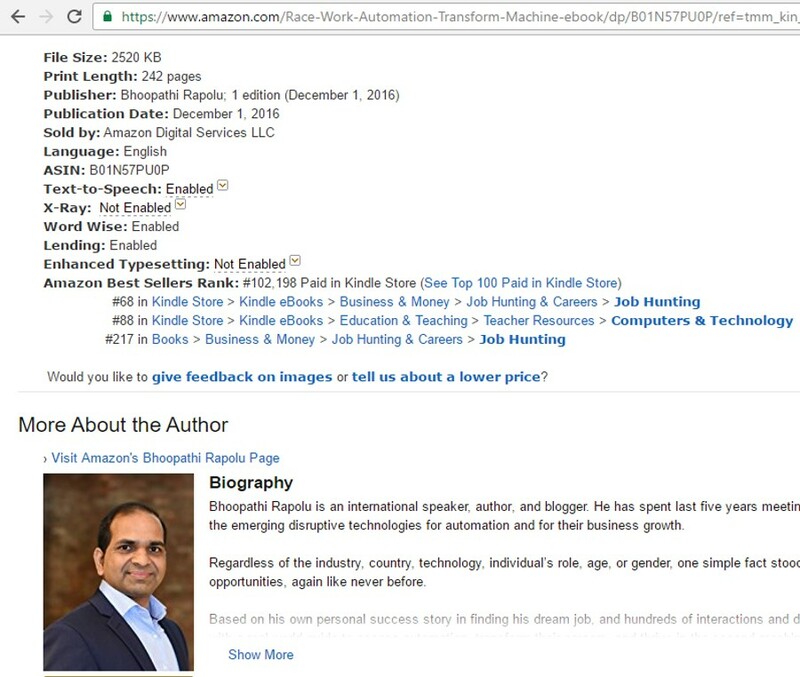 Within the first few hours of its launch, The Race for Work has been on the Top 100 Amazon Bestselling books in two categories. But wait, I want to give this book FREE to everyone vising my site before I sell it to others. I am grateful to be part of your network. It’s my gift to you. I am setting the price to zero from tomorrow i.e. Friday, 2nd December for 2-3 days, so please help yourself. Get your copy from Amazon USA, Amazon UK, Amazon India. If you are in some other part of the world, just go to your local amazon site. You can download this book for FREE, only for next 2-3 days. If you want anyone else should get this free book, it’s easy. I have prepared the ready to share links for your favorite channels. Use this to share with just a single click. In case you missed my last email, click here to take a look. It has the cool book trailer video. I am sure you love it. Thanks again for being a part of this and I can’t wait to share The Race for Work with you soon!